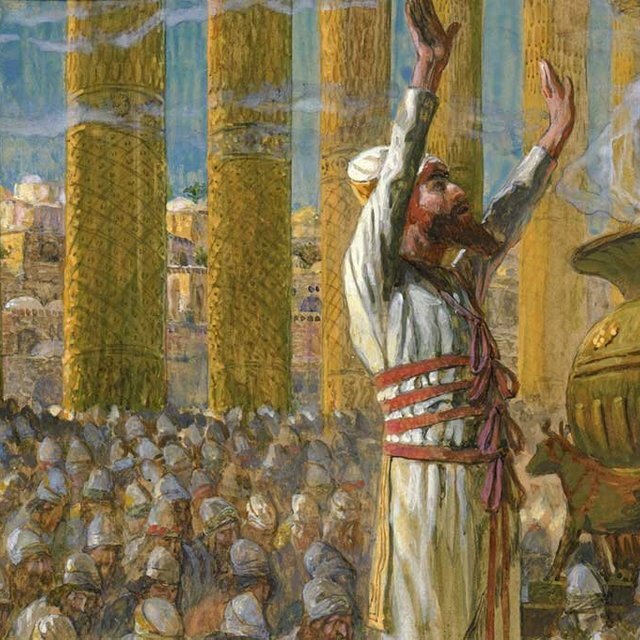 What does a copper bowl have to do with the Messiah? 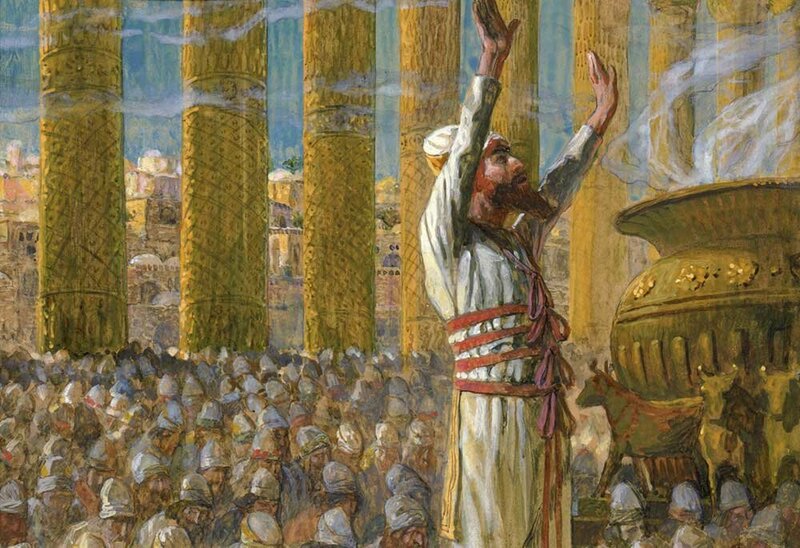 Solomon Dedicates the Temple at Jerusalem, c. 1896-1902, by James Jacques Joseph Tissot (French, 1836-1902) or followers, gouache on board, 10 5/16 x 7 1/2 in. (26.2 x 19.2 cm), at the Jewish Museum, New York. In Judaism, prayer has taken the place of the sacrificial offerings since the Temple is not currently standing and the priesthood is not presently established. Therefore, the formulation of the prayers in the Siddur is made to resemble the order of the Temple service. An observant Jew who prays every morning from the Siddur will pray from the korbanot (offerings; sacrifices) section that comes right after the morning blessings and the recitation of the Akeidah. The first prayer in the korbanot section comes from Exodus 30:17-21. This section comes from Parashat Ki Tisa, a portion in the Torah cycle that we read just recently. However, in the Siddur this section is read daily. For some, the intricacies of the Temple service, the usage of the vessels, the dimensions of the structure, the laws for specific sacrifices, etc., can seem quite dull. They can appear as just technical blueprints that hold little to no spiritual value for us today, especially since we don’t have the Temple right now—a mere mental exercise in visualizing the once marvelous House. It is tempting to skip over or briefly skim these sections in Scripture; I am most certainly guilty of doing so. However, upon closer examination, we will find that nothing is arbitrary and nothing in Scripture is devoid of a lesson or deeper spiritual meaning. This may seem like an irrelevant passage, but this laver filled with water is one of the most important components to preserving the lives of Aaron and his sons when they enter the presence of HaShem. There must be some deep significance to this seemingly insignificant utensil. The word for “bronze” or “copper” in Hebrew is nechoshet (נְחֹשֶׁת), which carries the Hebrew root nachash (נָחָשׁ), which means “serpent.” The kabbalists noted that the numerical value of both Hebrew words nachash (serpent, נחש) and mashiach (Messiah, משיח) is 358. They interpreted this to mean that the “holy serpent” (the Messiah) will ultimately destroy the “evil serpent” (Satan). To our ears this may sound (understandably) borderline heretical, since the serpent represents sin and curse. How could we call the Messiah a serpent? But before allowing ourselves to feel offended by this interpretation, let us remember what the Messiah himself says. Yeshua draws the parallel between himself and the copper serpent (nechash nechoshet, נְחַשׁ נְחֹשֶׁת) that Moses held up for all to see: “As Moses lifted up the serpent in the wilderness, even so must the Son of Man be lifted up” (John 3:14). Yeshua was speaking to Nicodemus in this passage, and I cannot imagine that the numerical equivalence of the words nachash and mashiach was lost on this great sage in Israel. In fact, this statement was more than likely incredibly powerful to the mind and heart of wise Nicodemus. Here we see Yeshua making strong and clear claims of messiahship, and this allusion to himself as the nachash (i.e., the mashiach) is perhaps one of the strongest. With that foundation laid, we can see a deep meaning in the Hebrew word for copper (nechoshet), since it bears the root nachash. I had been perplexed in reading this korbanot introductory prayer as to the significance of this underwhelming bowl whose waters preserve the lives of the priests. But understanding its root with nachash, and thus with Messiah, has clarified everything. One could perhaps go so far as to say that the Messiah is representative of this copper laver. His claims of causing to live all who come to him, or all who look on him and believe in him, parallel the function of this laver as well as the copper serpent that Moses affixed on a standard. It clarifies even the concept of being immersed into his name—washed in his name and for his sake—and it makes the imagery of being buried with the Messiah in water, in immersion, and raising up with him much more understandable. He is the living water, and he is the laver with which to receive it and purify ourselves. If we bind ourselves to him, wash our hands and feet in him so to speak, we can enter the presence of the Father without fear of being overtaken. This imagery is so beautiful and fits so perfectly into what we already know about our beloved Messiah. In fact, I would like to imagine that Yeshua used a copper bowl as he was bending down to wash his disciples’ feet prior to their last seder together. Whether or not that is true, who could know? Nevertheless, it is irrelevant, as he himself serves as that holy vessel that purified his disciples to minister before HaShem in spreading their message to the entire world. In every detail given us by the Torah there is a practical and spiritual meaning to glean. Even in the rudimentary functions and utensils of the Temple, the spiritual depth abounds. Never again will I skip over such crucial detail no matter how tedious it feels at the moment, for therein lies a deep lesson and the Messiah is clearly revealed. What the Jewishness of Jesus can Teach Christians about Prayer. What does prayer look like in a Jewish context? How did Jesus pray? 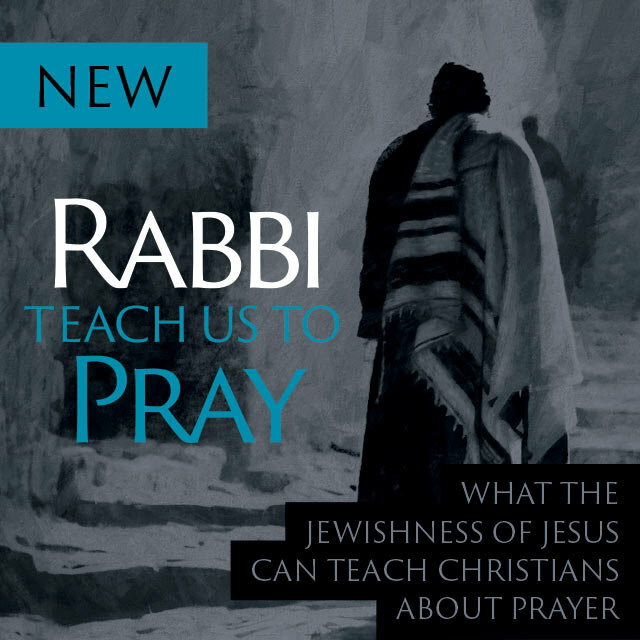 This book provides Christians with an insider’s view of Jewish prayer. Now available in PDF eBook format also!